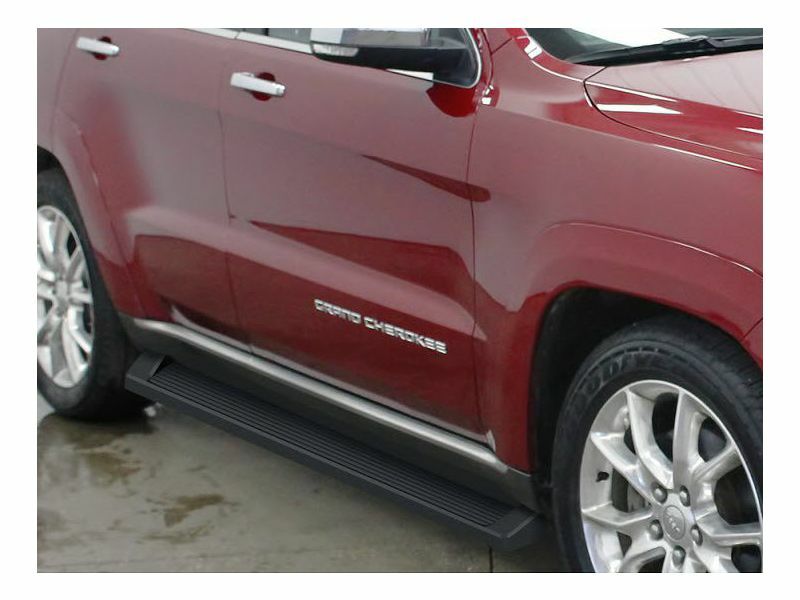 APS Black IRunning Boards not only add style, but they provide a safer step up into your truck or SUV. Created mirroring the Apple Iphone, each IRunning board has a sleek look. The 6" wide stepping area is sure to give a large area for getting into your cab. The heavy-duty aircraft aluminum construction is coated in a durable black powder-coat. Raised ends on each board act as mud guards. The one piece design features high grip rubber treading for an anti-slip stepping area. No drilling is required on most applications with the APS Black IRunning Boards. Each set is sold as a pair. Easily install the IRunning boards as all installation hardware comes with every order. Backed by a one year warranty, order yours today! APS IRunning Boards are backed by a one year warranty covering all defects in materials and workmanship. Most applications require no drilling, but installation instructions will be provided to ensure a proper install.